Working in the contact center, I speak to many sponsors who ask for directions for sending a package to the child they sponsor. Regrettably, packages can’t be sent. However, you can send a monetary gift — an option many sponsors I speak with are unaware of. We do not accept packages, primarily because of customs and duty costs. In most cases, the cost of shipping and duty would exceed the value of the gift. Also, the risk of theft or loss of the package while en route is very high. We send all of our mail through customs as “documents.” There isn’t a fee for shipping a document. However, if customs opens one of our boxes of letters and finds a piece of jewelry, they will hold that entire box of letters until they receive the customs fee for that item. This can cause letters to be unnecessarily held for long periods of time. Each day, we receive items that we are unable to ship. Our correspondence team is in charge of contacting you to see if you would like the item returned or donated to a local charity. Doing this is quite a task as these items tend to pile up fairly quickly. I understand that it’s disappointing not to be able to pick out a gift and send it directly. Putting the thought, time and effort into sending a gift conveys love and sometimes “just” sending money seems impersonal. But if you’re willing to spend the money to purchase items here in the U.S., won’t you consider forwarding the money to the child you sponsor? The money you send helps stimulate the economy in his or her local community, instead of here in the U.S.
Why should I give a gift? The simplest answer I can give you is that it blesses the child and his or her family. It is a way to meet the needs in their lives. Monetary gifts to the children you sponsor mean new outfits, their first pair of shoes, or the beginning of an income-generating business for the family. Last fall, I sent a family gift to the child I sponsor, Angela, in Bolivia. Incredibly, she and her family were able to buy so much with what I sent. With $75 American dollars, they were able to purchase a blue jean jacket, undergarments, a wool poncho, a jacket, a skirt, school materials, shoes for several members of her family, food supplies and a backpack for Angela’s brother, Jose. The child development center staff even sent a picture of Angela with her family and everything they bought. Letters acknowledging the gift are sent every time a gift is received, but not everyone receives pictures. If you send a gift of more than $60 you will receive a picture of him or her posing with what was purchased. I want to send a gift to the child I sponsor. How does it work? After we close our books for the month, our finance department receives a list of all the gifts given during that month. For most countries, we convert the gift into the country’s currency and transfer the funds to the country office’s bank. Some of our offices will either have their bank make the exchange from U.S. dollars to the local currency, or they will just use U.S. dollars. Once the country office receives the money, a staff member transfers the funds to the respective child development centers. Some centers receive the money by check and some receive it directly transferred into a bank account. This entire process can take two to three months. After the center staff receives the money, they set up a meeting with the child you sponsor. In the meeting, the staff member informs him or her of your gift and discusses what some of the child’s and family’s needs are. Next, he or she signs for the gift to acknowledge that it was received. They then head to the market where the staff member helps the child purchase the items. Finally, he or she will write you a letter letting you know what was purchased and possibly include a picture, depending on the amount of the gift and the center he or she attends. If you do not receive a letter within six months of sending your gift, please contact us. We will contact our country office for more information. You have a few different options for sending a monetary gift. You can send $10 to $100 as a birthday gift or general gift up to two times a year and $25 to $,1000 as a family gift. A birthday gift will be just that — a birthday gift for the child you sponsor. When you send a family gift, the child and his or her family decide together what to purchase. A general gift can be sent for any reason and can be used by the child or family to purchase what is needed at that time. You also have the option of donating any amount, we typically suggest $20, to the Christmas Gift Program on behalf of the child you sponsor. Although other gifts can be given any time of year, we request that gifts to the Christmas Gift Program be given by October 31st to ensure that the gifts are delivered by Christmas. Wow! This is so great, Shaina! I am going to send a gift every month. That’s actually not the best idea. The family of the child you sponsor most likely lives on less than $2 a day and a monetary gift will mean quite a bit to them. To help avoid creating a sense of dependence on your gifts we discourage doing this. Also, monthly gifts can lead to jealousy within the community and put the child you sponsor and his or her family at risk. I really want to send a gift, but I can send only $5 this month. The cost associated with processing the monetary gifts means we can’t accept gifts for less than $10. I encourage you to set your $5 aside, join it with another one of its $5 friends the following month, and then send the gift to us. When I was little, I had the cutest teddy bear. I really want the child I sponsor to have the same thing. While you are welcome to suggest what you would like the child you sponsor to purchase, he or she makes the final decision regarding what is purchased. If he or she is too young to make the decision on their own, the child’s family will help with the decision. So do you have to send a gift to the children you sponsor? No. Does it bless them and their family incredibly? Yes. Emphatically, yes. We originally published this post on Aug. 9, 2010. The italicized text reflects new correspondence guidelines. If I sent a birthday gift just on or shortly after my sponsored child’s birthday, will they still receive it that year or will it be held until their next birthday? I sponsor a boy in Burkina Faso. At the end of 2017 I sent a family gift of $100. I never received an acknowledgment of any kind for the gift. I didn’t send a family gift in 2018 because I wasn’t sure they ever got the previous gift. I would like to know they got it and what they decided to use it for. Thank you so much for your sweet heart to bless your child with such tangible help! 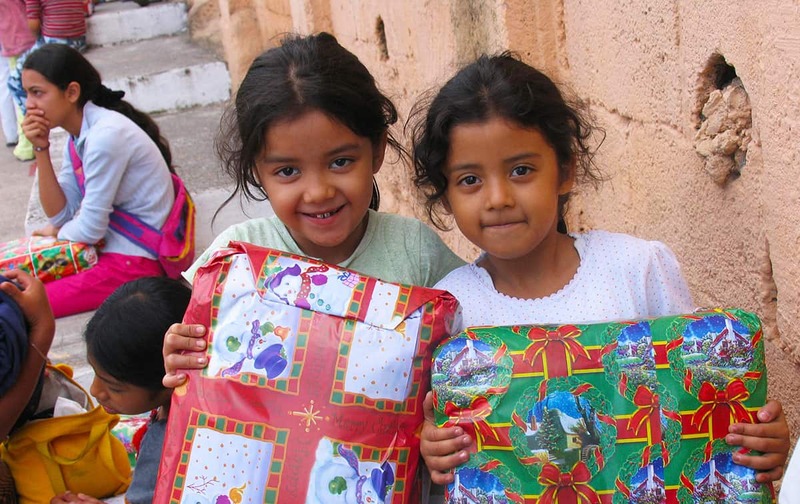 These gifts can make a huge difference for these families! Please know that I do see a thank you letter written on may 23rd, 2018 explaining that your kiddo was able to buy, “rice, corn, a suit (likely a whole outfit) and shoes. However, this thank you letter did not include a photo. Since your gift was over $60, you should have also received a photo of the purchased items. I have sent an inquiry for you to see if they may have misplaced the photo or to see if we can get you a new one. 🙂 I hope this is helpful! Hi! I have been sponsoring a young lady in Kenya for several years. While I do receive an updated photo of her every two years, I have never received any photos of what she has bought with her birthday gifts or what her family has bought with their family gifts. I would appreciate it if someone could check to see if photos have ever been taken. Thank you! Gladys, I’m so sorry to hear that you didn’t have a good experience with Katherine leaving Compassion’s program. According to our records, she graduated Compassion’s program five days ago. You reached out to us before we had the ability to reach out to you, which certainly speaks of your involved sponsorship. Thank you so much for the investment you’ve made in her life. 🙂 When you spoke with our representative, it looks like he gave you directions on how to send her a graduation gift, which you are welcome to do, if you would like! I was also able to see that the Birthday Gift you sent her was delivered successfully. Please let us know if you have any other questions, or any issues that we can fix for you. I am sorry that this experience wasn’t what you were hoping for, but I very sincerely thank you for your investment in Katherine’s life while she was in the program, and for seeing her through to the end of her time with Compassion. I have sent my children, Emily and Rose gifts in the past and I didn’t realize all the process that go into it! Thank you for sharing this information. I sent both of my sponsor children family gifts of $100 last year. I didn’t realize that we should be expecting a photo of them with the items that were purchased. Is this something we have to request? I would love to see how we have been able to help their families. Any suggestions for getting a photo? Amanda, thank you for this question! Since it takes two to three months for the gift to get to your child, and two to three months for their letter to reach you, we ask that you wait six months to receive the thank you letter and photos for your gift. If you do not receive a letter by that time, you can let us know so we may contact our national office and request that a letter and photos be sent to you! Hello, I am a new sponsor and before reading gifting rules sent $100 for a family gift and $20 for child. Am I only allowed to send her a birthday gift for the remainder of year and am I allowed to gift the family anymore this year? I’m clear on the amounts but not clear if the number of times in a year that I may gift. Thank you. Hi Melissa! Welcome to the Compassion family! That’s a great question. You are able to send your child two gifts – one general gift and one Birthday gift – per year, and those may be up to $100 per gift. Since you already sent a gift to your child specifically, that means you can send her one more this year. As far as family gifts go, you can send up to $1,000 per year, and we ask that this is split up between 3 or 4 gifts per year. Please let us know if you need any more clarification! This article and the comments to it is so informative and very appreciated. I just started sponsoring my child in November and as is quite common for me I just jumped in with both feet without really searching for a lot of information about gift giving. We sent a small family gift through the Compassion website. It was my Christmas gift even though I realized it would not truly be a Christmas gift for them because of the time it would take to arrive to them. My child is just one years old and I am corresponding with his mother mainly, of course. Should I include information in a letter about the family gift being sent or just wait and let CI tell her when it gets there? Hi Ann! Welcome to the Compassion family! Thank you so much for choosing to bless sweet Juan with your love and support! We very much appreciate your heart to bless him with special gifts. You are welcome to tell your kiddo in your letters about your gift or not. Please keep in mind that your child might receive your gift and letter at different times which might cause a little bit of confusion though. Please let us know if you have any additional questions or concerns. We’re also happy to help you via email at socialmedia@compassion.com. Have a blessed day! How will I know when my child is in their last year with the program so I can send the 2000.00? My boy stop with the program early and I was unable to send him any extra. I don’t want to just get a letter after the fact for my other child. Hello, what is the maximum contribution limit per family/child per year? Your FAQs and blog posts do not seem to indicate what this is — only that I have reached mine? 🙂 Many thanks. Marcus, I sincerely apologize for the confusion. You are welcome to send anywhere between $25 to $1000 to your child’s family per year and $10 to $100 to your child up to twice a year for up to $200 total. Our FAQ includes this information as well about maximum gift limits here: https://www.compassion.com/give-a-gift/faq.htm. Please let us know if you have any further questions or concerns. I have called Compassion about this and I still am not getting what I feel is a good answer. I became a sponsor in November of 2017. I sent a family gift of $100 pretty quickly after I started my sponsorship. It is now July of 2018 and I never got any acknowledgement from the child or family and I never received any picture of what was purchased. I sent a general gift to my child in March and was told it could take up to 6 months to get an acknowledgement. Even if that’s the case, why wouldn’t I know what happened with my family gift? Why would the family not at least have an acknowledgement note sent? I am concerned that I am either sponsoring an ungrateful family or the local program is not well managed and my family may not have even received the $100. These probably are small amounts to you but it is sacrificial giving for me. Do I need to take my contributions to another child or family in a different area of the world? My friend at church sponsors a child in the same village that she sponsored at the same time through a chipurch presentation. She got her picture of the child’s gift purchases within 2 months of sending her gift. When I called today all I was told is that the family did get the gift and that my child got the gift I sent in March finally in June. No one can tell me anything further about the family gift in Nov 2017. I am unsettled about not knowing what is happening to my gifts. Marcy, I am so very sorry for the frustration, dissatisfaction, and particularly that you have had to wait so long on a letter of acknowledgement and photo for your very generous gift. Frankly, I agree with you that it is reasonable that you should know whether your gift was received and the benefits to your child by now. As you mentioned, thank you letters are to arrive within six months of when the gift was given. I will say though that from the comments on your account, it appears that perhaps the representatives you spoke with were confused about which gift you were inquiring about. They all mention the March gift, for which the thank you letter should arrive by September. However, it has been over eight months since you sent the gift in November. I can confirm that the gift from November was delivered to your child and a letter was at least started for you, but the letter and photo should be here by now. I just sent an inquiry to our field office in Peru to request the letter and photo as soon as possible. We understand and greatly appreciate the sacrifice that you have made to send such generous gifts to your Pedro I am sure Pedro and his family are extremely grateful for this gift. You have sent the average total family income in this area and their hungry months are usually in the spring so I am certain that having this much extra around New Years last year was a huge blessing. Sometimes there are technical issues that prevent a letter and photo from arriving in a timely manner. Sometimes the family is overwhelmed with the size of the gift which can sometimes be more than they have seen all together at any one time and they have trouble deciding what to do with such a generous gift. Perhaps they were so touched that they wanted to get the letter perfect for you. I guess what I am saying is that there are many factors that can contribute to a late letter. Thank you again for your kindness and generosity to this family! I am a pretty new sponsor, and would love to send a money gift to Elorm and his family. I would also love to get pictures or what they end up getting. I read somewhere that if gift is $60 or more than a picture will be sent? Is that true for child gift AND family gift? Also, is it a bad idea to send a child and family gift at same time? Hello Ryan! We are so grateful for your heart to bless Elorm in addition to your sponsorship! Any amount that you give to Elorm will truly bless him and his family. It is true that if you gift a gift of $60 or more, you will indeed receive a gift photo along with Elorm’s thank you letter letting you know how your gift funds were used. You are welcome to send a child gift and a family gift at the same time. Please know that if you’d like to receive a picture, your single child gift or family gift needs to be $60 or more, and it is not based upon the total amount given to multiple gifts at one time. For example, if you give a $30 birthday gift and a $30 family gift, you will only receive a thank you letter, even though the total equals $60. I hope this information is helpful! While it is okay to send multiple gifts at once, we do ask that you please not send gifts too regularly as to avoid creating a dependency or jealousy within the community. Thank you! I just became a sponsor for the first time. I however did not sponsor a young child but a young man of 18, his name is Yishak. Reading all these questions and answers are helpful but I sometimes get a little confused because there is a difference between a child of 5 or 7 and a grown 18 year old man. Will he still need supervision while going to market? I did send him a gift of money but did I send enough for an 18 year old? The biggest question I have, I plan on sending a family gift in the near future but are there certain things I need to know first about his family situation before a chose an amount? I wish this website could put together a page that addresses the needs and concerns for the older children and their sponsors. I think that would be a great addition! Hi Paul! Congratulations and welcome to the Compassion family. We are very grateful that you have chosen to sponsor a child with Compassion. I agree completely. The needs for an 18 year old are very different from those of an elementary school aged child. I am grateful that you have a desire to bless your sponsored child and their family with a monetary gift. We do still monitor how the money is used, just to ensure that it is going toward something that is positive and useful. If you have specific questions, we are happy to help. Our sponsor and donor relations team is available to serve you, Monday through Friday at 800-336-7676, from 7am to 5:30pm Mountain time. Or you are welcome to email us with specific questions at, socialmedia@compassion.com. Here are a few links to articles that I feel may be beneficial to you: https://blog.compassion.com/youth-development-what-are-sponsored-teens-saying/, https://blog.compassion.com/three-things-you-should-know-about-compassion-adolescents/ and https://blog.compassion.com/how-to-write-letters-to-teenagers/. I hope these help. Thanks leah, you’re an angel! Those links you provided in your reply was exactly what I was looking for and will help me out greatly. I’m so excited about this that I feel like I’m going to burst! Can a birthday gift amount be automatically taken care of so that I’m not late sending one? I sent my girl child a Christmas gift and I have not received anything confirming she got a gift? Is it still too soon maybe? Also I just recently chose to sponsor a second child, a boy, and his birthday is coming up. Right after I decided to sponsor him I elected to send a birthday gift but it was outside the recommended time… Will he still get a birthday gift and I a confirmation? Thank you so much for continuing to bless these sweet children and for all that you do for them! God bless you! Hi, I gave my sponsored child (Midkenson) $200 for a family gift in May 2017, but I have not received a thank you letter and picture. I may have received the letter, but it did not include a picture. Hi Sarah! I am so sorry that you haven’t yet received a letter or photo showing you what Midkenson received with your generous family gift! The letter that I see mentioning a gift looks to be in response to the birthday gift you sent him. I am sending an inquiry for you today to have this family gift checked. They will have him write a thank you letter and include a photo of what was purchased with your gift :). It usually takes about six to eight weeks to receive the reply back from our country office in Haiti with the letter, at which time we will be in contact with you. Hello! Is it possible to know if our sponsored child has a sibling? Is it too late to send a Christmas gift? Hi Diana! While the deadline has passed, you are still welcome to donate. Basically, at the beginning of November, we sent an amount on your behalf to your sponsored child and your child will be told that this gift is from you. Your donation now will go towards replenishing what was already sent through our Christmas Gift Program. https://www.compassion.com/christmas-gift/christmas-gift.htm?referer=christmas Thank you for your support! This article is so very helpful. Thank you! If I send a gift for m6 child’s birthday – how soon do I need to send to make sure she gets it in her birthday. Also, I just became a sponsor I. Nov. if I send a gift for Christmas now will my child receive it in time for Christmas? Hi Theresa! Welcome to the Compassion family! Thank you so much for choosing to bless sweet Alexa with your love and support. We typically recommend sending birthday gifts and cards about 2-3 months in advance to ensure they arrive in time. You are definitely still welcome to give a Christmas gift! Since it is not past the Christmas gift deadline, a gift has already been sent to your child and the money you give now will reimburse the fund that was used to give your child a Christmas present. All Christmas donations are combined and then divided evenly among every child in our program. We typically suggest that sponsors give an amount of $25 per child, if they are able. With this fund, we purchase a meaningful gift specifically for each child and help purchase gifts for children who are not yet sponsored or whose sponsors are not able to give. 3. Under “Other Donations,” select “Christmas Gift Program.” We suggest a donation amount of $25 per child, but we appreciate any amount you are able to give :). Please let us know if you have any additional questions. Have a blessed day! My family and I are new sponsors and I did not even think of a time limitation on making sure our child receives a gift at Christmas. It is not December 1st, 2017 and I am afraid I missed the deadline since there is not option other than Birthday Gift in the Additional Giving section. Is there any way we could still make sure she gets a Christmas gift? If any messages were sent out as reminders to do this, I missed them! I am so sad if we missed the deadline. Hi Bethany! Thank you for wishing to bless your child this Christmas! While the deadline has passed, you are still welcome to donate. Basically, at the beginning of November, we sent an amount on your behalf to your sponsored child and your child will be told that this gift is from you. Your donation now will go towards replenishing what was already sent through our Christmas Gift Program. https://www.compassion.com/christmas-gift/christmas-gift.htm?referer=christmas Thank you for your support! My sponsored little girl lives in Recife, Brazil. I have someone going to Brazil in a couple of weeks. Can I have them mail a little package to my child while in Brazil? If yes, how do I do so? Where should they send it? Seeing the new system of scanning items like coloring pages and paper dolls – I have many sheets of paper dolls already in digital form, downloaded from online or scanned from my personal books. Is there any way I can simply send a digital image to be printed and sent to my child? It seems rather inefficient to print them myself and send them physically just so they can be scanned and printed AGAIN…with a resulting loss in image quality each time. I recently sponsored a child (on July 27th) and haven’t yet received my welcome/information packet. The child had a birthday July 30th – a few days after I enrolled in the program. Can I send a letter and monetary gift before getting my packet? Hi Linda! Welcome to the Compassion family! You can expect to receive that welcome packet within the next two weeks as it does take time for us to print and mail those out to sponsors. You can absolutely send a gift and a letter to your sweet child! Praying that he had a good birthday! Your sponsorship will be such a wonderful birthday surprise for him! For a birthday gift does the child receive 100% of the money or does roughly 20% still go to administration? Hi Mike! Compassion utilizes 10% of funds given as a gift to a sponsored child to cover administration and delivery costs. The other 90% is given to the child :). Can I send a small, few page coloring book? I’m a new sponsor and I know about stickers and bookmarks. Our boy is into Art/drawing. My 5 boys are eager to write and send the envelope size allowed package. Thank you. Congratulations on your new sponsorship! We are so blessed to welcome you to our Compassion family! We are very thankful that you desire to send your child letters and small gift items. We encourage you to send letters and cards as often as possible. Please know that the only physical items that are able to be sent are musical cards, bookmarks and stickers. All of these items must be 100% paper, other than the stickers which may include plastic. Anytime you send something to your child, please make sure to keep it to six pages or less and always include a letter with each package. We sponsor a 9 yr old girl in Burkina Faso Africa. She often mentions her best friend in her letters. I would love to send Color w/water pages in a package for her to share w/her friend. I don’t want them to be scanned and sent, as it wouldn’t be the same. Can I specify that these pages NOT be scanned, but sent directly to my sponsored child? Hi Vicki! What a thoughtful idea to send extra for your sponsored child’s friend! Regrettably, the only items that we can mail are stickers, bookmarks, pop-up cards, and musical cards. I sincerely apologize for the inconvenience and to I really hate to burst your creativity but regrettably that is all we are able to do at this time. You are welcome to send some extra stickers for your sponsored child to share though! Or if you have a friend traveling to Burkina Faso, you are welcome to have them drop off whatever fits in their suitcase. If I send a suggested gift from your catalog does it go to my sponsor family or will the compassion center choose another family that has need of that particular gift. I ask because I plan to send family gifts and holiday gifts to my sponsor child but would also like to help others when I can afford it. I know that the center will sit down with my sponsor child’s family and help them choose what they need. I guess what I’m asking is CAN a gift from the catalogue go to another family? Hi Angel! Thank you so much for your heart to bless and love on children around the world. The gifts given through the gift catalog go to the families in our program who are in the greatest need of that item. They do not go to your sponsored child directly, so you can absolutely give a gift through the catalog in order to help another family in Compassion’s program :). Is there a way to find out if my sponsored child has a sibling waiting for sponsorship. I saw a little girl from the same country that looks just like my sponsored child. They could be twins. They have different birthdays , so they must be sisters. If so I would love to sponsor her as well. Hi Stacey! It looks like you sponsor Bibata Aicha Yada in Burkina Faso. Sometimes we do have children with siblings in the program, but Bibata is actually the only child in her family who is enrolled in Compassion. Though the other sweet girl isn’t a part of this family, she may still be in need of a sponsor if she hasn’t been picked up already! Our small school are sponsoring two children. I attended a concert and filled out the information packet and received the children’s information. I did not get a sponsor number for either one. Where do I get that so we can start sending letters to our sponsored children. Hi Stacey! I do see a child Bibata under an account with your email address, but it doesn’t have the school’s name on the account. Is there a different child and account I should be looking for? Can you email me at socialmedia@compassion.com with the contact information for the school’s account and the child’s ID (if you have it) so that I can look into this for you? I just began sponsoring a child in Ghana in the last few weeks. I sent him a letter online through the app. Questions….1) Will he get letters sent like that faster? (2) If I decide to mail a letter to him with stickers, bookmarks, etc., where do I initially send it so it then gets passed onto him? (3) I’d like to send him a musical card for his birthday along with a monetary gift. What is the best way to do this? (4) Does the $38 each month provide a Bible? My child will be 10 and one of the gifts I’d like him to have is a children’s Bible. I don’t want to recommend that if he is provided with one. Sorry for all the questions but I would like my child to know I am thinking about him and plan on corresponding with him on a regular basis. Thank you for your help and response. Hi Tammi! Thank you so much for responding to God’s tugging on your heart to sponsor sweet Solomon! We are happy to answer your questions :). Electronically sent letters using the application or through your My Account on a computer will indeed be sent faster to the country office. From there, the time it takes to have this letter processed, translated, printed out, and delivered to your child will be the same as any other type of letter. The reason it is faster is because we do not have to wait to receive it physically in the mail here in Colorado and scan it into our system. You are always welcome to give a monetary gift to your kiddo by contacting us, sending your donation in the mail, or by giving your gift online through your My Account. If you are going to send your monetary gift physically, we encourage you to avoid sending cash. Also, please ensure that your sponsor number, child’s number, and instruction for money is included with the gift. The musical card will need to be physically mailed to us :). Yes, every single child receives an age appropriate Bible when they are registered into the Compassion program :). As your child grows and matures, we will provide an age appropriate Bible along the way. Thank you so much for your generous heart and desire to bless your kiddo! Hi Lynn! Thank you so much for wishing to bless your child in such a tangible way! We normally recommend sending monetary gifts 2-3 months prior to a birthday. Hello, I am sponsoring a child in Kenya and I know he has several siblings. In fact, my last letter from him told me that his mom just had a baby. My sister was considering sponsoring a child and thought it would be cool if she could sponsor someone in his family. Is this recommended and how could we learn if any of his siblings are waiting for sponsorship? Thanks! Hi Sarah! We do have a Facebook group for sponsors to share letter ideas and their experience as Compassion sponsors. They tend to be highly engaged sponsors, including many who do go on trips to visit their children. Since you don’t have Facebook, that makes it more difficult to find people going to your child’s country. You might try posting on our online forum, asking if someone is going to Peru at any point. I’d also encourage you to listen around in your own community (church, work, etc). If someone happens to be going to Lima, they can always drop a physical gift off for you at the country office while they are in the city! Lynn, as Sarah explained, the Facebook group is a private group for our correspondents/volunteer letter writers and highly engaged sponsors, many of which go on trips to visit their children regularly. If you are wanting to have someone deliver gifts, I would recommend posting on our community support page. God bless you! I sent a gift to my child’s family. It has been well over six months and I am yet to hear from the family. Carolyn, thank you so much for choosing to bless Thimothe’s family with your generous gift! I’m so sorry that you haven’t received a thank you from Thimothe yet about how this family gift was used. It’s a true blessing to know how your funds were able to help a family in need :). I have sent an inquiry to the field office in Togo. They will ensure that Thimothe is well, and they will ask him to write you a thank you letter letting you know how these gift funds were used. It will take 6-8 weeks to receive a reply from the field office, and we will be in contact with you as soon as we hear back from them. Thank you for bringing this to our attention, so that we can help you! We appreciate your patience as we wait to hear from your sweet boy. God bless you. Hi Jenny! I responded to your inquiry in your other post on our blog, “What Impact Does Giving a Family Gift Have in a Child’s Life?” I also see you called our office and got answers to your questions. Let us know if we can help you further! Where do you put your suggestion on what you would like your child gift to go to. I don’t see anywhere to note that on the website checkout process? Hi Omar! When you’ve selected the amount you’d like to donate to your child and then move onto the Checkout Information page, scroll to the bottom. After entering your billing information, you will see a link that says, “I have special instructions regarding this donation.” When you expand this, you will be able to type how you’d wish your child use your gift. Please note that our staff and your child will certainly take this into consideration. However, the staff ultimately help your child and their family make a wise decision on how best to use your gift depending on the greatest need they have at the time. You will receive a thank you letter up to six months after your gift is sent, letting you know how your gift was used :). Thank you for blessing your child this way! Hello! My husband and I have been talking about sending family gifts to each of our sponsored children. I read the blog about the child in Bangladesh receiving a family gift and how his family was then able to buy cows and chickens to generate extra income. I absolutely adore Compassion because of the holistic approach you take to child sponsorship and love the idea of our kiddos’ families being able to generate income to increase their financial stability. We have children in Ghana, Indonesia, and Haiti. I don’t even know what animals cost in the U.S. let alone what they cost in other countries! Would a gift of $250 be enough for a person in each country to purchase and maintain income generating animals or materials? Thank you so much for any information you can provide! Thank you so much for your response! I am totally open to the families using the gift for whatever they may need! I never thought about the need for repairs. I pray they will be able to use it to cover all their current needs! I am horrible with pricing even in the U.S. (don’t ever sign me up to be a contestant on the Price Is Right!! ), so I am glad to know that the amount we’ve prayed about would be useful! Thank you again for such a quick response! We sponsor a child in Mexico. We know nothing about daily life in that country and we feel the information given to us was really vague. We have researched online a bit but have not found any really informative sites on the country and cost of living, they are more about vacationing there. Do you know of any online sites or other resources that would be more informative? Also, are my gifts given in US dollars or exchanged to pesos? Hi Sydney! Thank you so much for sponsoring Emmanuel! I can give you what information I have on the community Emmanuel lives in. Regrettably, I wasn’t able to find much online either. The community he lives in is a humid forest and is home to approximately 45,000 residents. Most houses are constructed of cement floors, brick walls and tin roofs. The community does have access to electricity and potable water. The primary ethnic group and language is Spanish. Most of the residents in this area are from a Catholic background. The regional diet consists of maize, beans and potatoes. Common health problems in this area include respiratory illnesses and gastrointestinal diseases. Most adults in Berriozabal work on plantations during harvest and planting seasons, earning the equivalent of $83 per month. This community needs employment opportunities and high schools. Your sponsorship allows the staff at the center to provide Emmanuel with Bible teaching, health fairs, nutritious food, sports, special celebrations, homework club and singing. The center staff will also provide special celebrations, parenting education and meetings for the parents or guardians of your sponsored child. When you give a gift, Compassion does exchange the money into the currency used at the local level for your child. Since he lives in Mexico, it should be pesos :). Oh no!!! My heart! I just started sponsoring Adly at the end of January. I am so sad that he won’t get his birthday gift on time and that I didn’t send enough to receive a photo from him! This is really helpful to know. I wish I had known ahead of time. Glad I like to read! Love this program and everything it stands for! Our family has just started sponsoring Julissa in Mexico this month. I have given extra for Christmas and I now realize she will not receive it in time. Will she eventually receive it in a few months with a note saying it was for Christmas or will it be held over until her birthday or next Christmas in 2016? The Compassion program addresses four areas of child development – cognitive, physical, socio-emotional, and spiritual. We are also sensitive to the different contexts in which we work so that we can be most effective at developing each child. For example, we want to develop the child physically so we provide medical checkups and all medical needs. A part of that is vaccinations. In some countries where we work, the government provides free vaccinations. We therefore work with the government clinics to make sure all of our children receive the free vaccinations and then the money that would be spent on that particular medical care can be used on food or tuition or whatever the next greatest need is. In many places in Africa, the only decent schools are private and require tuition and uniforms whereas other places in the world have cheap or free universal education. In some places malnutrition is a serious threat whereas in others there may be feeding programs. You can start to see how we consider the greatest needs in each area and how we can maximize your support to meet those greatest needs. This means that we may not always provide a meal at the center but typically we provide vitamins and supplementary food for all of our children to take home with them as well as basic nutrition education for the parents and guardians. We always provide annual checkups and whatever medical needs they have but we may leverage other resources to help provide that need. We always make sure communities have clean water but there may already be a well built in the community that provides that need or maybe individual water filters make the most sense in that community. Also, it should be noted that all of the needs we have been talking about are what we call Complimentary Interventions. While your monthly support of $38 goes a long way to providing your child’s developmental needs, the majority of the funding for Complimentary Interventions comes from funds like the Medical Fund or the Water of Life program (https://www.compassion.com/donate.htm). In regards to Christmas Gifts, it is completely up to you as far as how you would like to give. Let me give you a little more information about each of the options so that you can make an informed decision. The Christmas Program is designed so that every child will receive a gift. We don’t want any child to be left out at Christmas! For this reason, we combine all of the Christmas Gifts that we receive each year and divide them equally among all of our children. This includes your child regardless of whether or not you give towards a gift. Usually the amount comes out to about $15-$20 per child. However, if you would like, you are also welcome to send a child or family gift in October for Christmas. These gifts are specifically for your child and his or her family and are not split up. Hello Midori! Welcome to our Compassion family :). Thank you so much for investing in changing the story for Julissa and her family! I see that you made a generous donation towards her family just a couple of days ago. Gifts do take 2-3 months to reach your child but rest assured they will receive your kind gift and our staff will help them make a wise choice on how it is used. We do not hold gifts in our office until a specific date but they’re sent when we receive them. So we encourage sponsors to send gifts 2-3 months in advance of the date you wish it to be received by your child. With the family gift you sent, you will also receive a thank you letter in the mail in roughly six months, letting your know how your gift was used! I also want to encourage you that we have a Christmas fund that sponsors donate to in which all donations are combined and special gifts are purchased for every child that is registered in our program. They hold a celebration at the center and it’s a very special time for the children and their families. Julissa will receive a special gift at Christmas from our Christmas Program and she will be told that the gift she receives is also from you! Oh No. I did not realize I could send an extra 20 dollars beside my Christmas gift. I would have gladly done so so Thereses could get a gift from me at the Christmas Program. I feel bad now. Hi Theresa! You actually were ahead of the game and already donated toward the gift she will receive at her Christmas party! She is going to know that her gift is directly from you and will be overjoyed to know you thought of her :). It will certainly be a special time. Thank you so much for blessing her and her entire family with your generosity this Christmas! Hello, I’m a new sponsor and am getting ready to write my first letter to Michel in Mexico. I write Spanish fairly well and I am wondering if I can write to her in Spanish or if I should write in English and allow the translators to translate my letter. I’m asking because I see that the language listed in her profile is Otomi but in the video I saw of Michel I understood what she was saying. Please advise what will be the best way to write to her. Thank you! Hi Elba! You are welcome to write in Spanish. However, we will still have a translator look over your letter to make sure it makes sense in her context. They will also translate from Spanish to Otomi if they need to. Although it depends on how fluent you are in Spanish, I would recommend writing in English to make sure your child is able to understand it. I am reposting this as I’m not sure if it went through last night. I don’t see it in the comments section. If its posted twice I apologize. I am getting ready to send a family gift to my girls and one of them asked a couple months ago if I would pray for chickens for her family. It would nice if they could buy some chickens with the gift money but I have no clue how much chickens cost in Rwanda. I would like to send enough money so they can get a few not just one. Is there anywhere on your sight that gives you an idea how much livestock for example costs in different countries so I can use it as a guideline when gift giving? Hi Heather! That is so kind and thoughtful of you to want to fulfill you child’s request for chickens. In Rwanda, chickens go for about $10 each. Ok great! $10 I wasn’t expecting that cheap but its cheap for us but a fortune for them! Thank you so much for your reply. We sponsor a child in Tanzania, Africa, and I was wondering if someone can tell me how much of the $35 sent monthly goes directly to our sponsored child or her family? Tonia, when you sponsor a child at $38 a month, you are helping to provide your sponsored child with Bible teaching, medical exams, hygiene instruction, recreational activities, tutoring, scholastic materials and school uniforms. We also provide a meal and a snack whenever Lucia attends the program. No less than 80% of your $38 goes towards this programming that directly impacts Lucia and her family. This past year that you have been sponsoring, we were able to put 84% of your donations towards the programs that benefit Lucia. If you are ever able or interested, we would love to have you travel with us to see where your support is going in Tanzania. We are taking another group trip to Tanzania in October 2016. Check back for more information and to sign up: https://www.compassion.com/get-involved/group-trips-list.htm. I have a question…we sponsor a child in Tanzania, Africa, and I am wondering how much of the $35 a month actually goes to her or her family? When did this start? I have sent gifts of more then $60 and never got back a photo… just a letter telling me what they have. Hi Marvin! This was implemented in 2013. I do see that in years past you have given very generous gifts to your children, such as your family gifts in 2009, but none over $60 since this policy was implemented. Thank you so very much for blessing your children in such a tangible way! I want to encourage you that if you ever choose to give a gift in the future of $60 or more, you will receive a photo along with your thank you letter :). You have been with our ministry for over 11 years! We are so grateful for the investment and difference you’re making in the lives of children! So in this post it is mentioned that christmas gifts should be submitted about 2 months in advance, should we follow the same rule for birthday gifts as well? Great question, Sam! Yes! All gifts and letters take 2-3 months to reach your child. For this reason, we encourage you to send them early to ensure it reaches your child on time :). Thank you so much for thinking of your kiddo and wanting to bless them in such a very tangible way! I would like to send a small calender 5x7x1/8. Can I do that? What a great idea Jim! Your calendar sounds like it will go through just fine :). As long as it is made of paper and is within our size requirements (8 1/2″ x 11″ & less than 1/4″ thick), your gift should process smoothly. Today my family and I were able to partake in the Compassion Experience and I am happy to say we were able to become sponsors to a little girl in India. Tracy, thank you SO much for your huge hearts and desire to impact the life of a child living in extreme poverty! We are so blessed and excited to partner with you in change the story for your new little girl! Your daughter sounds like a remarkable young lady :). I love her idea of sending a friendship bracelet to your child and I bet she would LOVE that! Usually we can only send paper items, but rainbow loom bracelets are actually going through right now. Feel free to send these. You can also view a complete list of items you can and cannot mail to your child, here. I pray that your family and new sponsored child build a wonderful bond and relationship and thank you for raising your daughter to love like Jesus! Hi Brooke! Great question! Thanks for asking! We recommend sending monetary gifts two to three months in advance of a birthday. For a November birthday, we’d recommend sending a gift in July or August. Hi Laura….. I love to send books and magazines as well. Especially to my girl in Ghana who wrote that she has NO access to books at her school, her Compassion center, or in her community. Thus far my books have been under 1/4″ with the exception of one. For that one, I used a 9 X 12 inch envelope, put the cover on the front, and then divided the book in half. I put our id info on both parts of the book, and then I taped the two halves to a piece of cardstock so they wouldn’t bunch together in the envelope. That way both parts were mailed together and would be under the 1/4′ thickness. I haven’t sent a larger book that would need more space…. but if/when I do then I’ll just scan and print out the cover and make a second envelope………. Putting “Part Two” on the front. Doing it this way ensures your books make it through, but it also saves the mail room staff a LOT of time and effort as they have SO much mail coming in and if they had to repackage everyone’s mailings then it would likely be a bit overwhelming… Plus, it saves Compassion money as those envelopes add up in cost. Hi Laura! We cannot send hardcover books. However, I am happy to report that we are able send soft cover books that meet the size limitations. Great guidance in this post and in the comments. Thank you everyone. It has answered several questions and eased many concerns. God bless you all. We sponsor quite a few kids. From most of them, all we get in the way of a thank you for gifts is a “Thank you for the gifts you gave me.” Some kids will spell out what they received, and some never do. I think some projects and/or countries are better at instilling the need for some specifics than others. I wonder if a flat chess set would make it through customs. The pieces are the chess piece icons printed on paper thin stiff vinyl. I have one in my files that I can’t seem to find online right now, but it is paper too and for older kids. (not Mickey) It also has easily understandable rules for starting players. I’ll try and find it again and post that link later…..
Hi Mike! While I appreciate your creativity in wanting to send this chess set, we cannot send anything but paper in the mail. Regrettably, we would not be able to send this vinyl chess set. I sponsor 1 girl in Indonesia and 2 girls in India. I’m curious if anyone knows how our currency translates into buying power in their currency? Does sending $10-$20 get them very much? Theresa, your money goes much farther in most areas. I’m always impressed with how much my sponsored child can get with as little as $25! As another tip, I like to look at the economic information that is listed on the “My Sponsorships” page. You’ll be able to see the average family income in that area. I’ve seen average family incomes range from about $20 to $120 a month. It really just depends on that area. Thank you for this blog. I have a question. The FAQ says: “You can give up to $200 a year to your sponsored child — a $100 birthday gift and a $100 general gift …” Does this mean we can only give a gift twice a year? If I send a $50 birthday gift, does that mean I could not send a $150 general gift (maybe splitting it over the course of the year in 3 gifts of $50)? Thanks for your time. Hi Kal! I’m happy to help! You are welcome to send as many gifts as you would like per year, as long as total amount of child gifts (birthday and general) per year do not exceed $200. We also recommend not sending more than $100 per time. In most of our countries $100 is quite a bit of money and we don’t want to overwhelm your child or family. This is why we say “a $100 birthday gift and $100 general gift.” It works out perfectly within the rules if you do it that way but you don’t have to. Hi again, I have another followup question: If we contribute to the Christmas fund, does this count toward the $200 for our sponsored child, or is the Christmas fund separate? Kal, if you donate towards the Christmas Fund, this donation does not count towards the $200 that you can give to your sponsored child per year. The Christmas Fund is separate since this is a general fund and not specific to your child. Thank you, Susan. I have a followup question: I have read that the recommended amount to give to the Christmas Fund is $20. Do the children all receive the same gifts regardless of the amount given by the sponsor to this fund? If I give $30 would the gift be the same regardless? Hello again! Yes, each of the children receive the same amount through the Christmas Gift Program. At the end of October every year, we count up all of the donations we’ve received for the Christmas Fund and then divide the total equally among all of the children in our programs. In past years, it has come out to $15 to $20 per child which is why we recommend $20. We explain that if you give more than the recommended amount, you are giving to help provide a gift for a child who may not have a sponsor or their sponsor was unable to give this year. Shaina – Do you know anything about why the monetary gift limits were increased? Some sponsors on this blog say that they send a little (like $10) and their sponsored children get a lot for the money. My experience is different. I’ve been sending $200 once a year to each of two families, one in India and one in Columbia, and they seem to buy about what I could get here in the U.S. for $200. Yet their montly salaries in the profile are $30 and $108. Shouldn’t they get more stuff given that it’s multiples of months of pay? If I were to up the amount, are they able to use the money to save for bigger purchases in life, like a home or transportation? Gift giving amounts are still $10 to $100 for children and $25 to $1000 for the family each year. In many of the communities where we work $10 is still a good amount of money. However, I know from experience that the cost of living in Colombia is very similar to what it is here in the US. So you can see how difficult for some of these families to make ends meet! I would recommend continuing to send small amounts of $10 to at most $300 at a time just to avoid a security risk for your sponsored child’s family. In many cases, the family will be able to buy more with more money but they will have to keep it at the project to avoid jealousy in the community or the risk of theft. Releasing children from poverty is a long term project that cannot be done over night with a large sum of money. The project staff will always use their judgment and will guide the family in using the money wisely and keeping the gift safe. Not knowing the “can’t send” gift policy, I made a felt flower for my child in Ghana. I would be willing to front all postal costs of sending the gift. Is there anyway this can be done? Larry, to give a gift to your correspondent child, you will need to call us at (800) 336-7676. You cannot do this online. Sorry for the confusion! I have been trying, without success, to determine how to give a birthday gift to a child for whom we have a correspondent sponsorship (the monthly support is paid through our church). Can you help me know how to do that? Is it appropriate to send a monetary “Welcome” gift to our new sponsored child? I didn’t know if people just stuck to birthdays and Christmas (both are so far away I want to do something now =) ). Is it possible to direct a gift of water to my sponsor child’s family? Hey Carol! You can send a family gift to your sponsored child’s family and suggest what that it be used for water purposes, but you cannot send a water filter to your child. Whenever I’ve sent monetary gifts, I’ve always gotten back a description of what the child bought with it, and it’s amazing what nice gifts can be bought with a fairly small sum of money. And it’s always been very appropriate to the culture and the child’s needs. Hi Sandra! CI chooses to wire money once a month from Colorado to each project country instead of for each transaction a sponsor makes as it saves money directly and saves on administrative costs in terms of manpower hours initiating a wire for every transaction. The money part getting from point A to point B is not that complicated or time consuming or at least I don’t think it is. It is CI’s commitment to integrity to prevent funds from being misused and desire to keep administrative costs low that necessitates the money being dispersed to each project from the country office. Many of these projects are in extremely rural areas without telephones, internet, etc. in the town they are located, which prevents money from being sent from CO to the project offices directly and your sponsored child instantly receiving it. It is much more complicated and administratively expensive to have different rules for each project in terms of sending money directly to a project that has internet (and therefore internet banking and wiring capabilities) in town versus sending it to the country office for other projects. Also, there is time between when the project notifies the child and their family they have money for a gift, they meet about what gift should be purchased to suit their needs and the gift is purchased for them. In some countries the kids go to the project each day and in other countries due to school schedules (all kids have the opportunity to attend school, it just depends on how the government sets the school hours) the kids only go once a week. If a gift arrives at the project on a Monday and the child doesn’t come in until Saturday that also adds time to receiving a gift. CI analyzes their programs frequently. I am sure they have a much more detailed answer about why things take 2-3 months. If you are interested in more information, I recommend using the ‘contact us’ tab at the top of the page to ask for more details from a CI rep.
How far in advance should I send a gift of money through Compassions website so the child will receive it for their birthday? As long as you have your gift arrive before the end of the month whether it is from the website or via mail, then it will go out the following month and take a total of 2-3 months depending on lots of factors (like the remoteness of the project, holidays, etc.). This is an awesome post and really cleared up a lot of things for me. Since I just sponsored my child yesterday, I am a little sad that I can’t send her a Christmas gift, but I suppose I can send a regular gift and just claim it as a Christmas gift! Thank you for the blog it answered a lot of my questions. I love that we can buy them gifts and that it goes entirely to them. This is all still very new to me and I still have a few questions on what to send in an envelope. Can we mail a letter and may be some stickers, post cards, book marks, etc? Anything that can fit into a thin envelope? I sponsored a child through World Vision and now I just started with Compassion so I’m a little confused on how things work. Also, do all letters go through Compassion in Colorado first and then get sent to our child? Any answers will be helpful. thank you! I cried when I read the story above and realized that my child would actually get the Christmas money gift that I send, how amazing that is to me! We in the Western world think a little box of goodies is nice, our children love having pretty boxes to open Christmas morning and some even are disappointed when they get money as gifts but we must realize that children in other countries do not think like our children as far as receiving gifts. A money gift can provide clothing, shoes, food, school supplies, medicine, blanlets, mosquito netting, seeds, safe water, something that they truely need to live, and having the opportunity to decide for themself what they and their family needs gives them dignity and hope. That is priceless! What a blessing to be a part of this! I prefer to send cash instead of packages…I was with another company before who allowed packages to be sent but all my packages didn’t get to my child because of thiefts working in mail in that country. A dollar goes a long way in many of the countries and they help families in a greater way than clothes gifts and many places don’t even have electricity so CPU’s…Cameras…Electronic things you can’t send. I joined Compassion because 100% of the money we send goes to the child or family…I just wish it could arrive in 30 days instead of 60 days but that would cause them to charge for that. It would be nice to get a picture of what your child spent the money on though! About how long does it take for the child to receive the money? I want to send him a birthday gift and an annual gift, but I want the birthday gift to get to him around his birthday and the annual gift to get there around Christmas. Unless she is in one of the African countries, where the graduation age is usually 22, she might be about to graduate. This information is usually on your compassion.com account, or you could call. They will assign you (or ask if you want) another child once she has graduated. I would think she would have told you in your letters back and forth how far she is in school, but even if she graduated school, she hasn’t necessarily graduated Compassion yet. Please don’t drop her when she is just about to finish. I think that would be really upsetting to her. We have been sponsoring a child for 15 years, and she must be about 21 years old now. Do we keep sponsoring her even though she must not be in school still? Not sure if we should continue to sponsor her or choose a young child that needs help now. Any suggestions? Will Compassion notify us that it may be time to help a different child? Actually, due to poverty, many kids are still in school when they are 21 and 22. You can login to your Compassion.com account and see if your child is still in school by going down to the ‘my commitments’ and clicking on your child’s name. Any child in the CI program is living in poverty and in need of financial, emotional, and spiritual assistance regardless of age. You also can ask her in a letter how she is doing in school. Perhaps she graduated high school and is receiving assistance from Compassion to learn a trade such as sewing, jewerly making, etc. to become self-supporting economically. CI regularly ensures that beneficiaries are still in need of CI’s support. I had a child leave the program when the family became financially self-sufficient. Hey! First, don’t beat yourself up over forgetting it! CI will accept gifts at any time. I’d simply write a quick note online that you were thinking of your child on his/her birthday and are sending a gift for them. If you send the note and the gift online, then they will get there faster. The letters sent online save the time of being mailed to Colorado and then mailed to the child’s country as they are transmitted directly to the country. I am sure your child would be touched and very happy to get a gift and letter from you later. In fact, my kid loved his birthday gifts…despite that his birthday was wrong so I sent gifts to get there in January instead of June for a few years! CI does not have a program in place for each child to receive gifts on their birthdays. I do not know if projects will congratulate the child (similar to how in the US the teacher will say happy birthday if they know it is someone’s birthday and their friends say happy birthday). CI does ensure every child receives a Christmas gift to prevent children from being left out if their sponsor forgets, doesn’t have extra money to send, etc. Great ideas. Thanks for all the info. sponsor since March and love it. I was just going to send a family gift, but is it too soon after Christmas? The last family gift I sent was in September, but my child’s birthday is in December, so he also just received two gifts in Dec. I assume this gift wouldn’t reach his family till end of February or March/April? I’m just so worried about not giving at the right intervals, I don’t want the family to be in any danger or to become dependent! If you’re able to send a family gift, I think any time is a great time. I don’t think there is harm in sending gifts too close together, I think the harm is done when they are sent in regular intervals. First thank you all for the ideas I have read. Has anyone sent the accordian album that you get from Oriental Trading? They are sort of stiff and run close to the thickness allowed. would it work if I cut them in half? thank you for any help you can offer. This may be a really ignorant question but I haven’t seen it addressed anywhere so far so here goes. I would like to send a birthday gift to my correspondence child but know I can’t do it online … I’m assuming I just make a check out to Compassion and mail it in with my next letter to her? do I need to fill out any kind of form or anything so they know it’s for her birthday? You can include a check with your next letter to your correspondence child. Simply write “Birthday Gift” in the memo line with your sponsor number. You may also contact us at (800) 336-7676 to give a gift over the phone. My family are new sponsors. This information on gift giving has been very helpful. Do we send our money online to Compassion with that child’s number or mail a check to Compassion and mark it for a birthday etc.? Yes, you may give a gift by logging in to your account on compassion.com, you may call us at (800) 336-7676 to process the gift, or you may mail a check and include a note that it should be given as a birthday gift to your sponsored child. Iam in Uganda and currently,it gives me great joy to read and know more about how God is working amazing through his children worldwide through the blessing of compassion,i have been excessively blessed to be be part of compassion family and i owe God much as long as i live. My child lives in Honduras. His birthday is Jan 2. Should I send him a gift now (2 months in advance) so he will get it in time? If it should arrive before his birthday, will the student center wait until his birthday before giving it to him? Thanks for any info. Hi Jana. I sponsor a child in Burkina Faso and his birthday is Feb. 22 and I recieved an e-mail this week from compassion stating that they needed to recieve his birthday gift by Dec. 22 to insure delivery by his b-day. I have been a sponsor for a few years now and this is the first year I had recieved a specific date to send by which is a big help. Thought that might help you as well! I would recommend sending the gift at the beginning of November. The project may hold it until your sponsored child’s birthday, but most likely they will give it to the child as soon as it is received. Thanks for that info. That is good to know. When we send a family gift is the money given directly to the parents or does someone take them shopping for needed items? The staff will take the family to the market and help them purchase what they need. Cash is never given to the family to ensure that they are not made vulnerable by it. I sent $10 each birthday to my sponsored as well as my correspondence children, one of the young ladies I sponsor, Neema from Tanzania buys clothes and sometimes food, she sends me pictures of her in the clothes and of the food she bought (her favorite is chicken and rice), sometimes they just tell me what they bought but $10 goes a long way, I managed to send a larger gift to one of the children and they managed to buy him some new clothes, toys, ate at a chicken place in the city, fixed a window on their house and had new toilet facilities in their house. The before and after picture of the facilities was a big change. His mother wrote of his eating at the chicken house that she cried because her son was able to eat till he was full and couldn’t hold anymore and that was an unusual occurence. I just love writing to our kids and receiving their replies and the joy that comes through their letter about the gifts we sent. wow perfect timing! i am still reading through the archives chronologically and suddenly i thought of new year in ethiopia. i wished Tamirat a happy new year, and I was wondering how long it would take for a gift to get there, and i just happened to see this in recent posts. sadly, i am too late for this year, but i am glad to know for the future! time for a birthday gift! I am so glad to hear that the limit for gifts has increased! While I probably will not be able to afford a large gift on a regular basis, it is nice to know that I can send more money if I know of a specific need for one of my children. Chris, are we able to give a financial gift to our child’s specific project(ex.GU407)? Yes. Between $100 and $2,000 with a $2,000 annual limit. The gift can’t be done online though. You will need to call our contact center at 800-336-7676. Question regarding care packages: While I understand care packages cannot be sent, what about bringing one when you visit them through the sponsorship tours? The Compassion store sells a backpack with a soccer ball that you can take to your child. Will you have to pay duty fees/custom fees on it when you enter your child’s country? Yes, it is possible. I have taken packages for other people’s children and have sent gifts with other for my children. If you carry the package in your suitcase you should not have to pay any extra fees. $1,000 family gift! That is quite a jump! Guess I might have to go get a better job 😉 hahaha All I know is the more you give the more you GET so I try to give a lot woooohooooooooooooooooo b/c I love to GET myself!!!!!!!!!!!!!!!!!!!! Ruth: You raise a good point. However, I think it is good to keep in mind that our gifts are like a “Stimulus Package” to the areas where our children live as well. If our children choose gifts that can gain a profit, that profit also goes to help the local economy. I have found myself dealing with this same issue and have commented on it in a previous blog entry. Why do I send money to sponsor one girl a world away when there are so many needs to be met? Should I send her a gift or should I sponsor another child? Am I sending too much? Maybe I should do more. Notice he did not say to shred the tunic and hand out the pieces. And he did not say to make sure the food wasn’t too good so as to not cause any envy. Things are not often “fair”. One child gets sponsored and the next does not. If you send gifts some of them are probably used to buy “good” things and some of them “less good” things. If you have ever tried to reseed a lawn you may have had the experience of throwing a handful of seed toward a bare spot only to have a sudden breeze catch the seeds and blow them toward the driveway. You find out that you can’t un-sow the seeds. You do the best you can, but once you release the seed the rest is in God’s hands. I love your explanation, Keith!! Thank you! Just this week I send a monetary family gift for all my 10 children like I did last year around this time. I didn’t get photos of the kids with their money gifts but they did thank me for what they bought with it: clothes, food, school supplies, small animals etc. One African child whose mom is a single parent said they had bought tin building materials with the money. They had been renting a single room and I interpreted what she wrote as they were able to ‘build’ their own add-on rent-free room. That made me very happy. The view that gifts to families will expose them to danger is a bit general; perhaps in other countries where crime is rife that might be the case. In Ghana people are hardly targeted for receiving gifts or holding cash. The gifts to families are professionally handled by the development workers. In many instances, they educate the families on how to preserve the gift or invest it into small scale businesses to generate more income for the family. It is your choice to give to a center or a family; however, I encourage you to continue to support families. The question you brought up is one that I hear sometimes from sponsors who call the contact center. Gifts are handled in a very private matter once received. The staff does not announce the gifts to the entire project – only to the child and their family. This allows the staff to review the family’s current needs and talk about how to use the funds appropriately. But, just as a child who does not receive a letter from their sponsor may be upset or jealous of another child who does, gifts can cause the same issue- no matter what preventions are taken. We are unable to prevent a child from talking to others about gifts they receive. I wasn’t aware the ceiling for annual gifts to a family is now $1000, when it’s been $300 for a very long time. I visited Yesica in Bolivia 4 years ago, and found out she was walking 15 blocks each way to her student center. (She had transferred there when her family moved, and it was the closest one.) In January I sent $100 for a bike and lock. Dollars really go far in the third world – she chose a beautiful bike with carrier platform, a lock, long-sleeve tee shirt, slippers, and a backpack. Her center sends photos, and Yesica was just beaming. She says now she is never late to the student center, and she can take her little sister on the back to drop her off at her elementary school. In the past, I’ve sent family gifts about 3 times a year, and they’re used for food staples and once for a new dresser. Then when Yesica tells me that her family went to visit relatives in what was to her a great and rare adventure in another part of Bolivia, it’s apparent that the family can make more choices about how they spend their income when some of the basics are taken care of. You can also make gifts to YOUR CHILD’S STUDENT CENTER. This would take an explanatory letter to Compassion along with your gift. When I gave $100 to Yesica’s center, the staff wrote the thank-you letter and included a photo of themselves with the shiny new wooden chairs they’d needed in the youngest age group’s room. hi denise, our little girl’s name in bolivia is yesica as well. is taht a common name there?? I didn’t know you could send a gift to your child’s student center!! What a very great idea! The gift giving amounts listed in this post are accurate for all Compassion partner countries. The limits have recently been raised. That’s exciting! I like that we have more flexibility and I like that it’s uniform amongst partner countries. This is a great blog! It really answers any question that I can think of regarding gift-giving. I’m not new to gift-giving and it answered questions I didn’t even know I had! Thanks, Shaina! And by the way, your Angela and her family are beautiful!! Thanks for sharing your picture! There is nothing more humbling than seeing what your children are able to buy (and what they choose to buy) with the monetary gifts. For example, I sent a family gift of $50 to my child in Uganda. Her family purchased a goat, shoes for the whole family, and dishes. Her project is so wonderful about sending pictures, and that picture of Caroline and her goat was PRICELESS! She had the biggest smile on her face. With the same family gift, they also purchased a mattress. Caroline told me that it is the first mattress her family has ever owned and now they don’t have to sleep on the DIRT floor. Wow. I don’t think anything that I could have bought for $50 here in the US and sent in a package could compare to being able to buy a goat and a mattress and what that means to her family. I just received pictures of her for her birthday with the gifts she purchased. With the $15 I sent, she bought sheets for the mattress 🙂 as well as a bag for school because she is now able to study harder. Yeah, not sure why people don’t know this information as it is in the booklet that we receive with each child’s information, but people are always bringing it up on OC. My experience, though, with pictures is that I have only received a picture of gifts from one child this past year, and I have a lot of kids that I have sent gifts to. I do wish more projects sent pictures. While I do wish I could send a care package to my child, I am incredibly impressed with how much Compassion listens to my gift-giving suggestions. I usually give a large family gift amount at Christmas time, and a birthday gift on her birthday every year. With every year, I suggest what gifts I’d like the birthday money to buy. EVERY YEAR I get a thank you letter from my child explaining what she bought with her birthday money, and every year it is exactly what I suggest (and more). Usually I suggest things that she mentions in her previous letters from the year. This year, she was writing to me about how much she was struggling with her science lessons, and how much she LOVED coloring and drawing and art in general. With the birthday money I sent, I requested that it buy science related coloring books. A couple months later, I received a letter from her thanking me for the money and how it bought her dresses, a watch, and coloring books with themes of animal kingdom, human body, weather, etc. I was giddy when I read it. 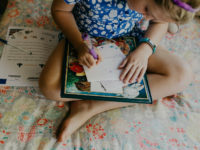 Our letters between us and our children help us bond with them and I think if sponsors listen and pick up on the little things the children mention in their letters, the fact that we can’t send actual gifts will dissipate. Wow! That is so cool! I never thought of that! This is a great blog post and I hope that it is posted to the FB page! I am an advocate and when I talk to sponsors, I have found that many don’t know this is an option. I am always joyful to receive a photo of our children with their gifts! I am also thankful we have the means to send money for birthdays and Family gifts at least once a year.